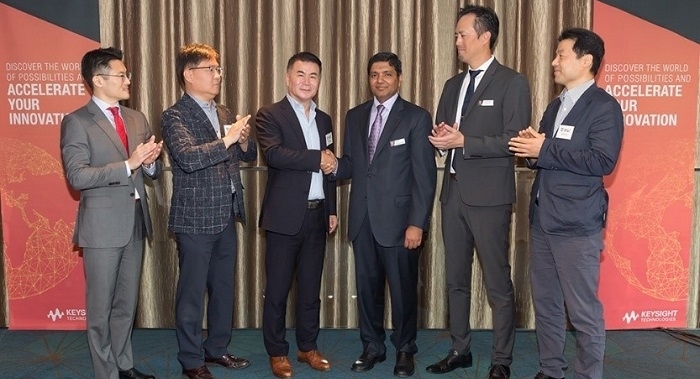 DT&C, a Korea-based company that offers test certification services, has selected Keysight’s 5G test solutions to establish the country’s first 5G-NR Regulatory System. Early access to Keysight’s proven 5G test solutions will enable DT&C to deliver 5G testing and verification services to the Korean mobile device ecosystem. Keysight offers end-to-end over-the-air (OTA) testing capabilities by combining its network emulation solutions with customizable chambers for radiated testing. These solutions allow DT&C to address regulatory radio frequency (RF) testing of 5G mobile devices across sub-6GHz and mmWave frequencies in both conducted and radiated test environments. Keysight partnered early with industry-leading chipset and device makers to launch 5G NR-ready end-to-end test and measurement solutions. This enables the global mobile ecosystems to accelerate 5G product design development and validation across the entire workflow – from early design, to test and manufacturing. Keysight was first to launch a 5G radio frequency (RF) design validation test solution – Keysight’s 5G RF DVT Toolset – which supports the latest 3GPP 5G New Radio (NR) Release 15 specifications, including beamforming and beam management across sub-6GHz and mmWave frequencies. Keysight’s industry-first 5G end-to-end test and measurement solutions enable the mobile industry to accelerate 5G product design development from Layer 1 to 7 and across the entire workflow from simulation, verification, manufacturing, deployment and optimization. The company offers common software and hardware platforms compliant to the latest 3GPP standards which enable the ecosystem to quickly and accurately validate 5G chipsets, devices, base stations and networks, as well as emulate massive subscriber behavior scenarios.